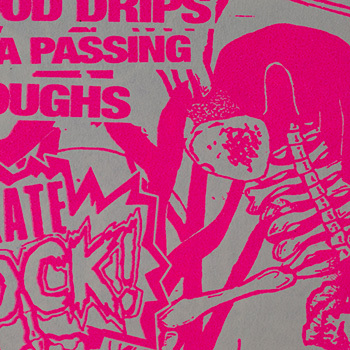 I got into punk rock through skateboarding in the mid 80's. 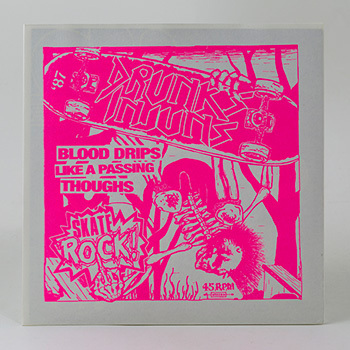 Drunk Injuns's "Blood Drips Like Passing Thoughts" was probably the first punk rock song I really liked. I heard this song from a skate contest video called Savannah Slamma but I had no idea where to buy or find it. So I hooked up my dad's VCR to the cassette deck and recorded it from this third generation bootleg VHS tape I borrowed from my friend. The sound quality was horrible... but its punk rock anyway. I used to listen to that tape everyday on my way back from school. By time I got home, I was so pumped up, I would quickly change and skate all day. Those were some of the best days of my life. William Chan is an artist and a designer based in Singapore. He is the co-founder of PHUNK (studio), Asia's leading art and design collective. He is also the founder of TMRRW, a multidisciplinary design and motion studio.